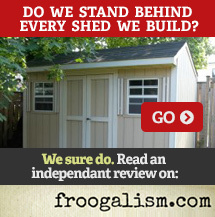 What makes our sheds better? You don’t have to sacrifice quality for price! 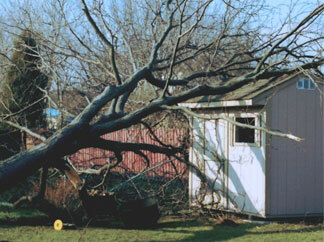 Shed versus tree. Shed wins! 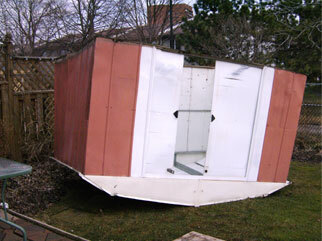 It’s easy to boast about how strong and durable our sheds are but we’d rather show you. Incredibly, this carriage house style storage shed survived nearly unscathed from a direct hit from a large tree felled in a spring windstorm. Proof to us that our real rafters and minimum 2”x4” construction combine to great effect!. Considering a metal shed? We’d suggest you think again. Unfortunately this is an all too common occurence that we see. 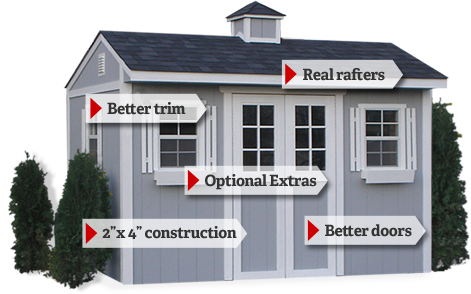 Our basic shed models offer great value at lower price points and not only look much better, but also keep your stuff high and dry for years to come.